Hwy 29 East to Town Hall R,. Left on Krok Rd, Left on Hwy 42, Right on Lovers Ln. Right on Lakeshore Rd. Hello, I’m interested in N2788 LAKESHORE ROAD and would like to take a look around. 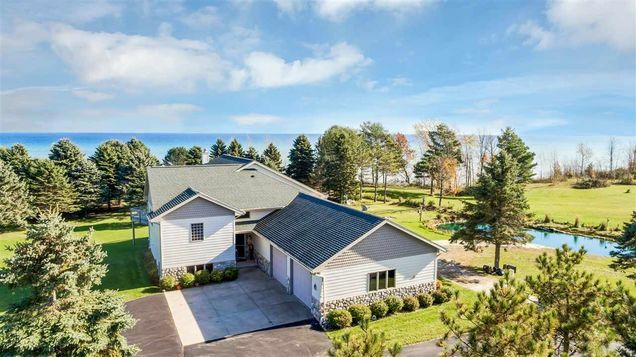 The details on N2788 LAKESHORE ROAD: This house located in West Kewaunee, WI 54216 is currently for sale for $525,000. N2788 LAKESHORE ROAD is a 3,800 square foot house with 3 beds and 2.5 baths that has been on Estately for 169 days. This house is in the attendance area of Kewaunee Grade School, Lakeshore Alternative School, Kewaunee Middle School, and Kewaunee High School.